It feels a long time ago that Porsche revealed the Cayenne and triggered outrage from purists. Today, everyone seems to be building SUVs: Alfa Romeo has just launched the Stelvio, Rolls-Royce is making progress with its Cullinan (or whatever it’s going to be called) and even Lamborghini has just revealed its Urus, arguably the most controversial car to debut in 2017. 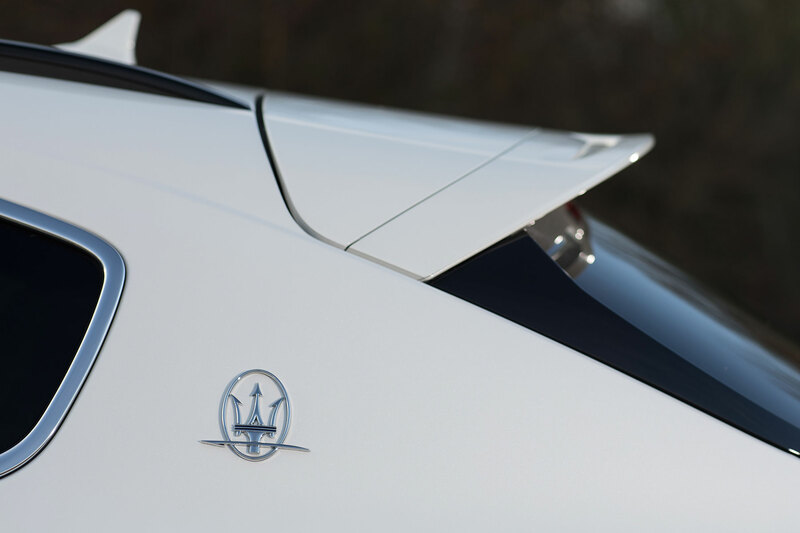 When Maserati unveiled the Levante at the 2016 Geneva Motor Show, it horrified traditionalists, going down like a smutty joke at a funeral. Already, though, it’s the Italian firm’s most successful car. 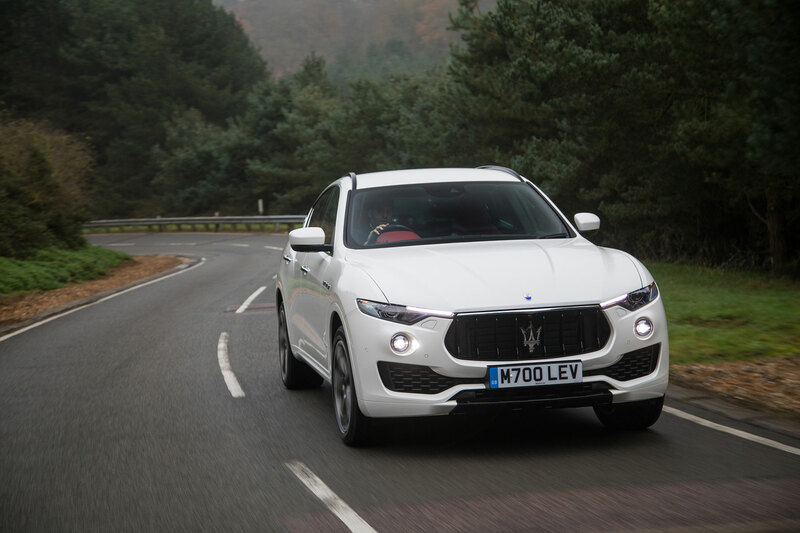 So let’s ignore the rights and wrongs of Maserati making an SUV, and instead focus on the fact that we’re finally getting the petrol V6-powered Levante S in the UK. 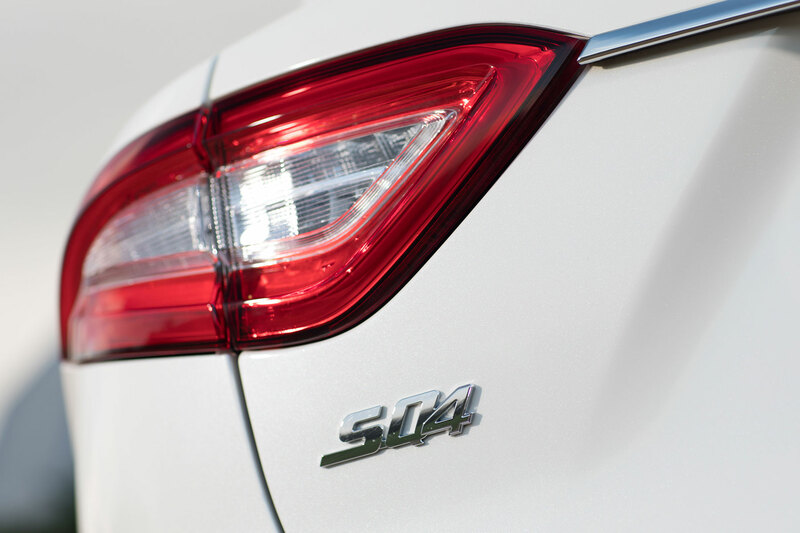 That means you can drive your family in a practical SUV powered by a twin-turbo engine sourced from Ferrari. And that’s cool. 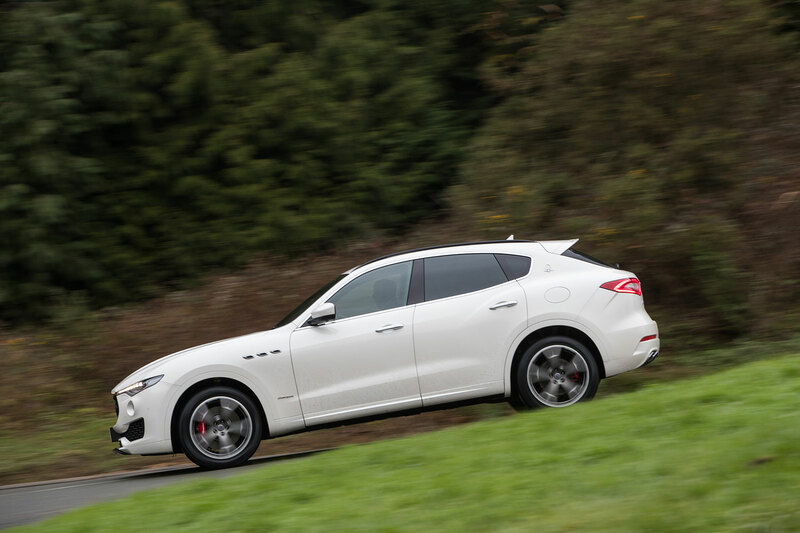 There are three models to choose from: the £69,000 ‘entry-level’ S, followed by the Granlusso and Gransport. 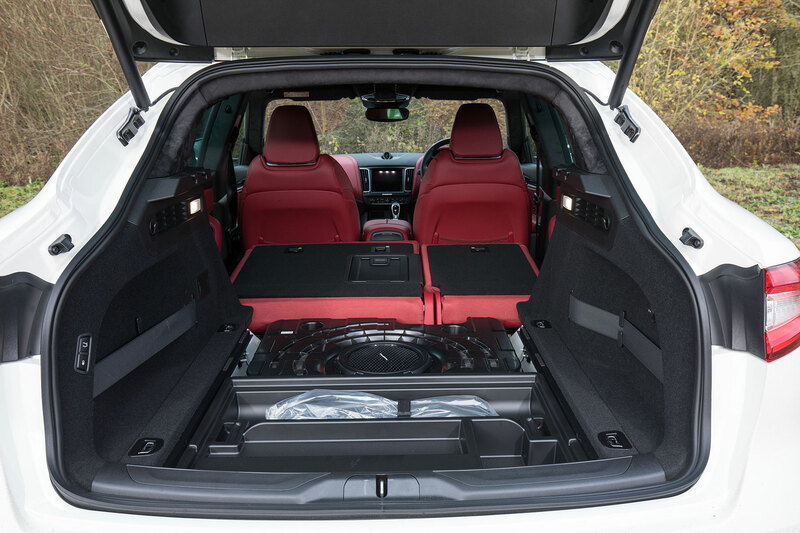 The Granlusso takes a luxurious approach, with wood trim, part-silk seats and a Harmon Kardon sound system, as well as extra chrome on the exterior and 19-inch alloy wheels. The Gransport, meanwhile, is the sportier choice, with sports seats, carbonfibre trim, a sport steering wheel (with paddles) and 20-inch alloys, plus various other sporting trinkets. 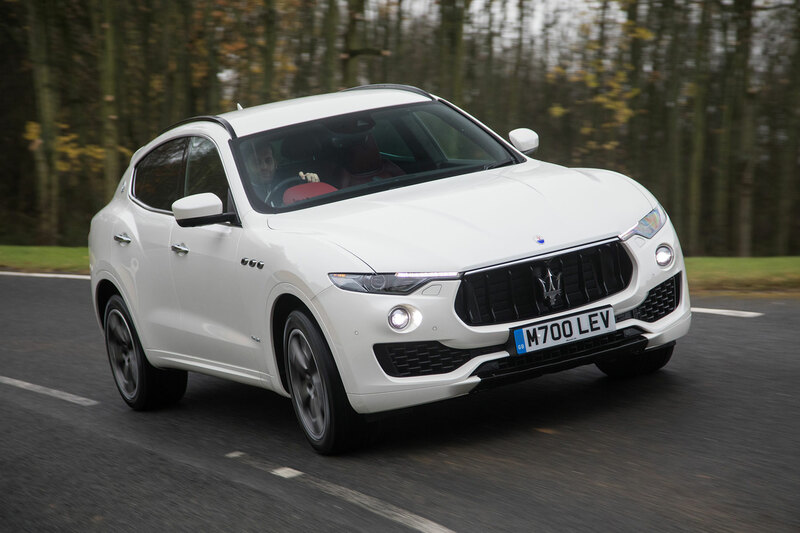 Both the Granlusso and Gransport start at £75,240, taking price out of the equation when you decide whether to go down the luxury or athletic route with your Levante S.
We’ll let you look at the pictures and draw your own conclusions about its appearance. 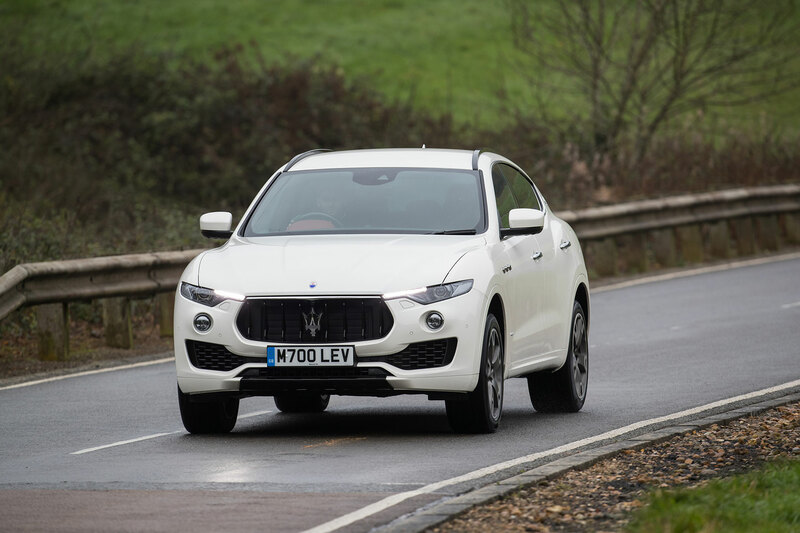 Have no doubt, though, that you’re making a statement buying a Levante S. It might be the firm’s most popular model, but you’re far less likely to find one on your neighbour’s driveway than you would a Porsche Cayenne or Range Rover Sport. 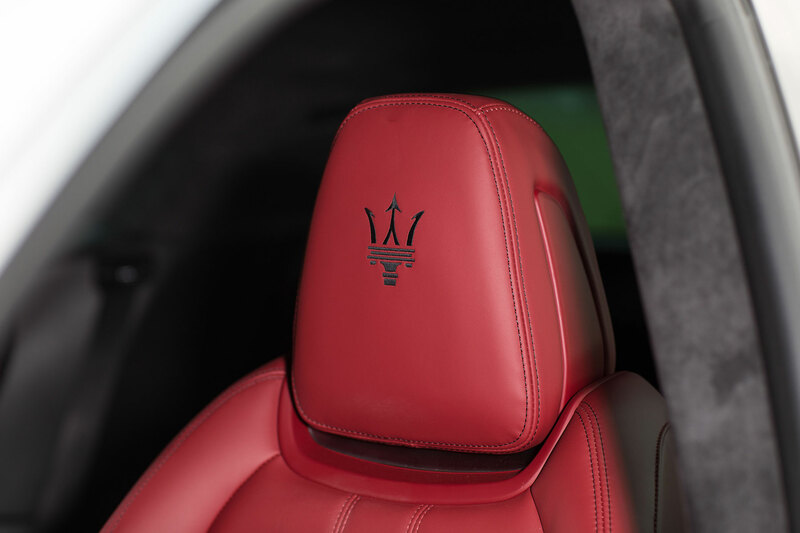 The ‘unique’ theme continues inside, with a bold interior far removed from that you’d find in a German or British rival. Before you get there, though, there’s a neat new feature in the form of soft-close doors. Gimmicky, perhaps, but also a clever idea (as long as you remember not to slam the door). 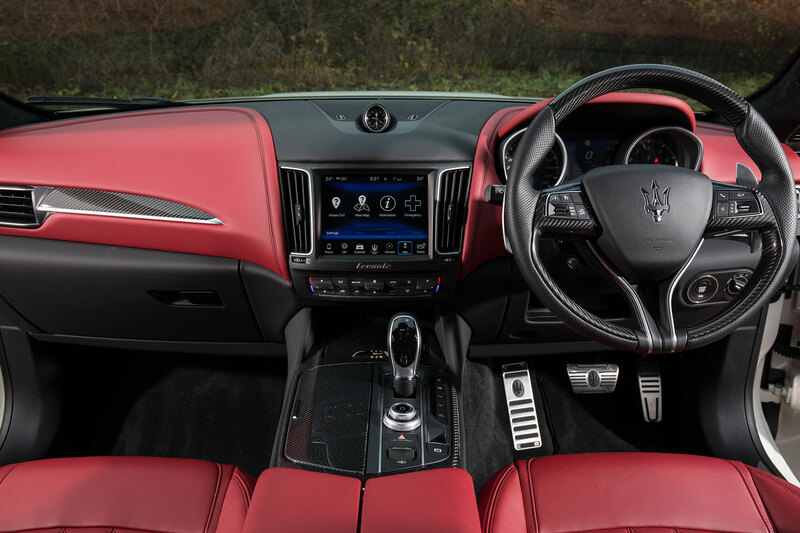 Our own personal tastes favour the Gransport, with its (optional) red leather seats pictured here and carbonfibre trim rather than the Granlusso’s wood. It feels fairly well made, although somehow lacking the ‘carved from granite’ feel of a German rival such as the Audi SQ7. Part of that might be due to the slight resemblance to lesser Fiat products, but only time will tell how well it stacks up to the abuse of everyday family life. 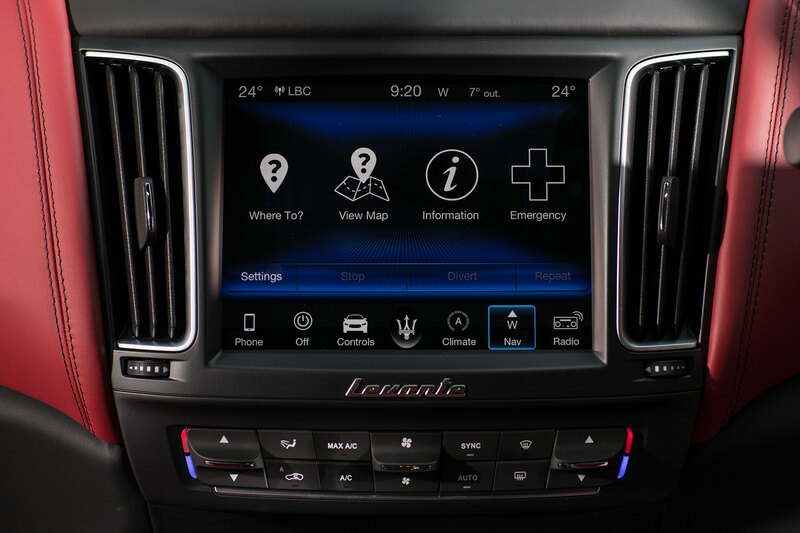 There’s a new 8.4-inch touchscreen infotainment screen in the centre of the dash with a tactile rotary control knob positioned between the driver and passenger. 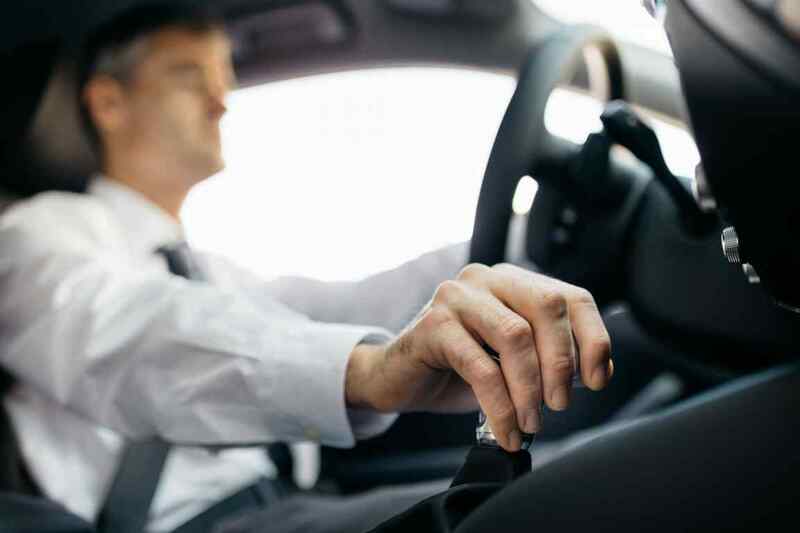 It provides access to Apple CarPlay and Android Auto and is a simple and quick enough system to use, albeit – again – falling slightly short of its German rivals for sheer usability. Space isn’t an issue, either. 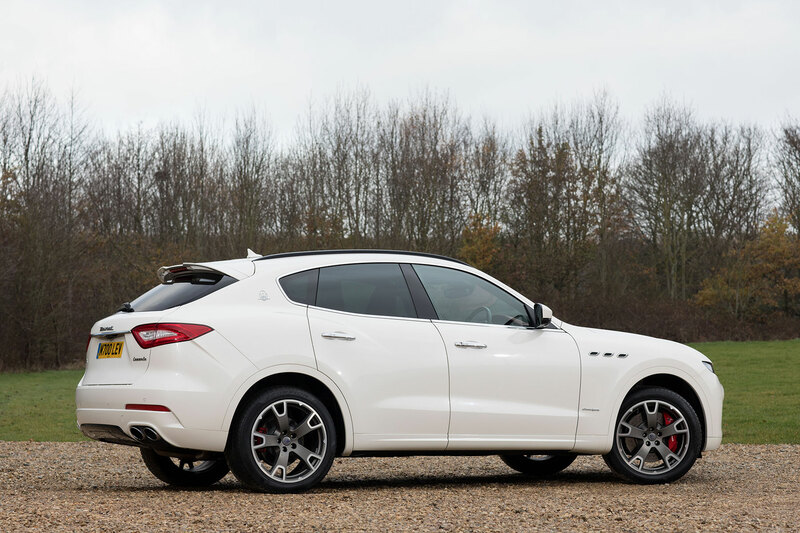 A six-foot adult can fit comfortably in the rear, enjoying good visibility, while the Maserati’s 580-litre boot is comparable with rivals and easy enough to access. 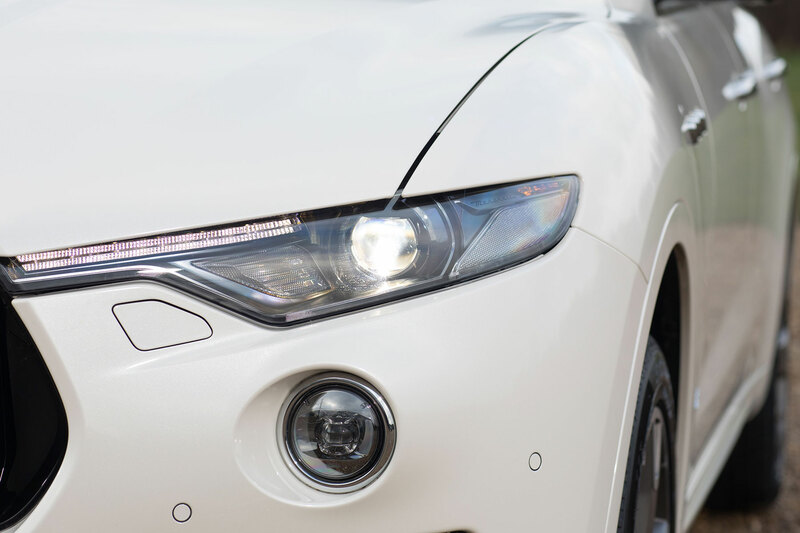 New for the 2018 model-year Levante is electrically-assisted power steering, bringing with it a host of new safety tech: lane-keeping assist, active blind-spot assist and highway assist, to name but a few. 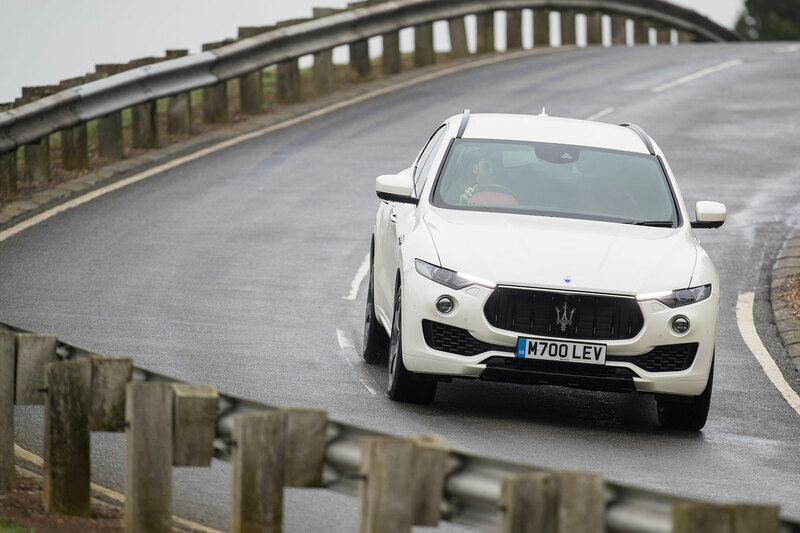 These semi-autonomous systems are becoming increasingly prevalent, particularly on premium cars such as the Levante, and our (fairly brief) drive on UK roads suggests they work as they should. That’s the boring bit over: how does it drive? Pretty damn well. 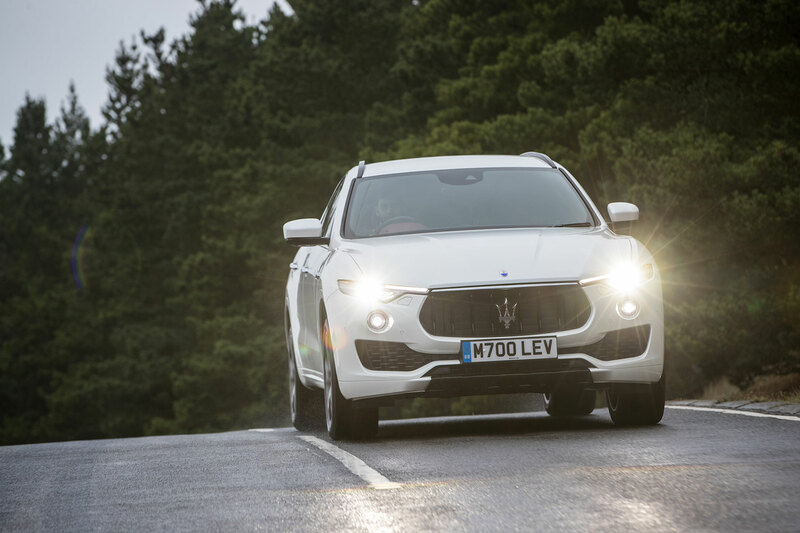 There’s no getting away from the fact that the Levante is a hefty SUV, but it remains composed in corners, with only a modicum of roll. 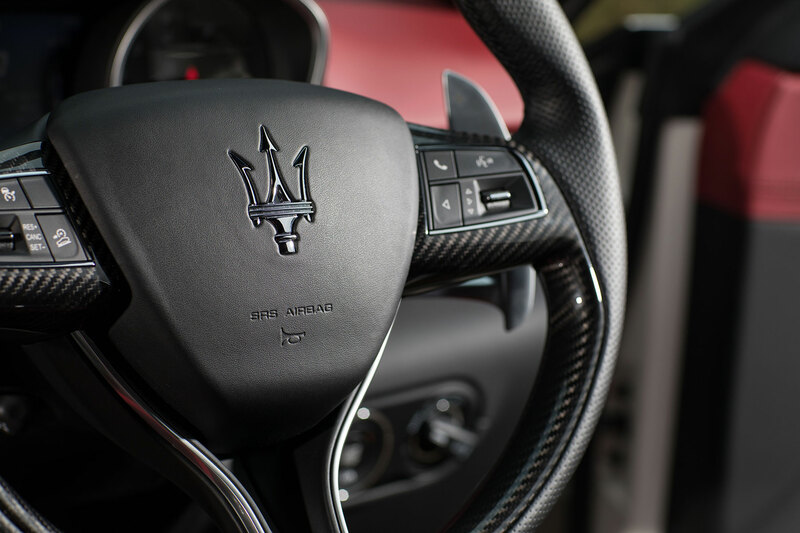 Pressing the Sport button twice causes it to hunker down by 20mm, while also firming up the dampers and adding some extra weight to the steering. While the handling is impressive, the real drama comes from its outright pace. 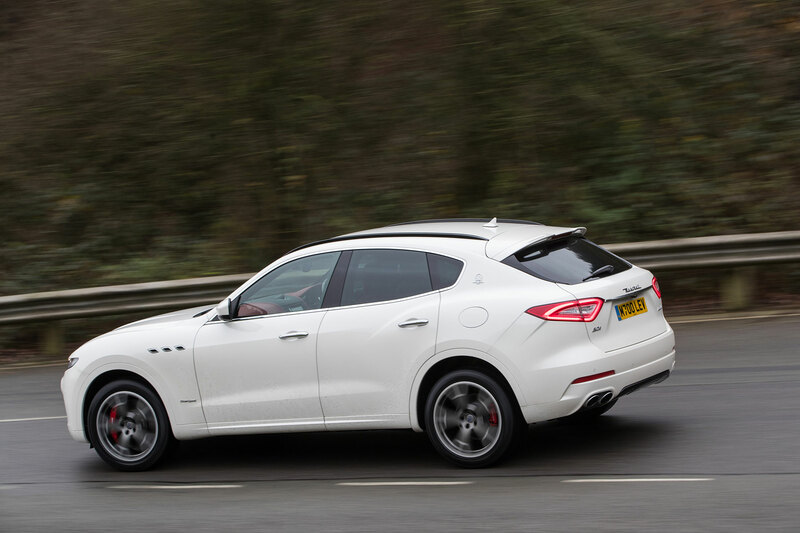 With no shortage of traction, the Levante S hits 62mph in 5.2 seconds, all the while providing a dramatic soundtrack. 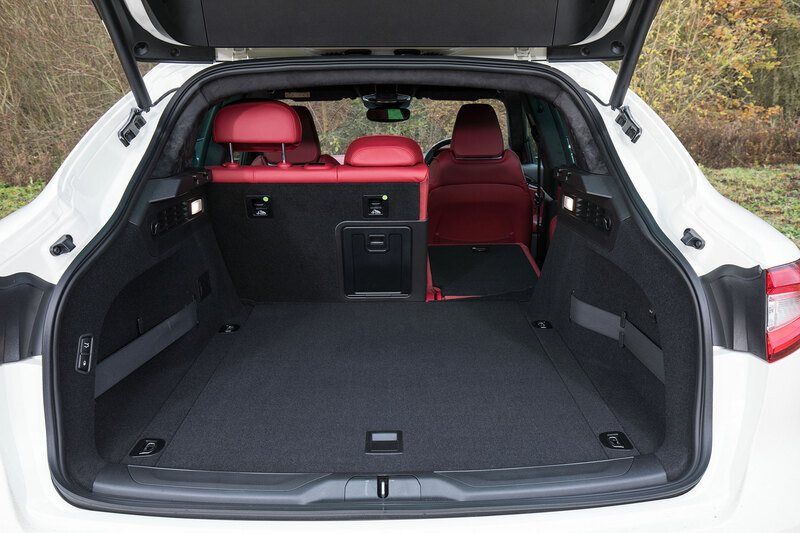 Our main criticism of the sound is it’s better from the outside – the Levante’s cabin is almost too well insulated from external sounds. But when it’s a family SUV, that’s probably not a bad thing. It’s also surprisingly capable in the rough stuff. No owner will take their Levante off-road, of course, unless you count a moderately muddy polo field perhaps. But if you do so, you can put the air suspension in off-road mode, raising the ride height by 40mm. 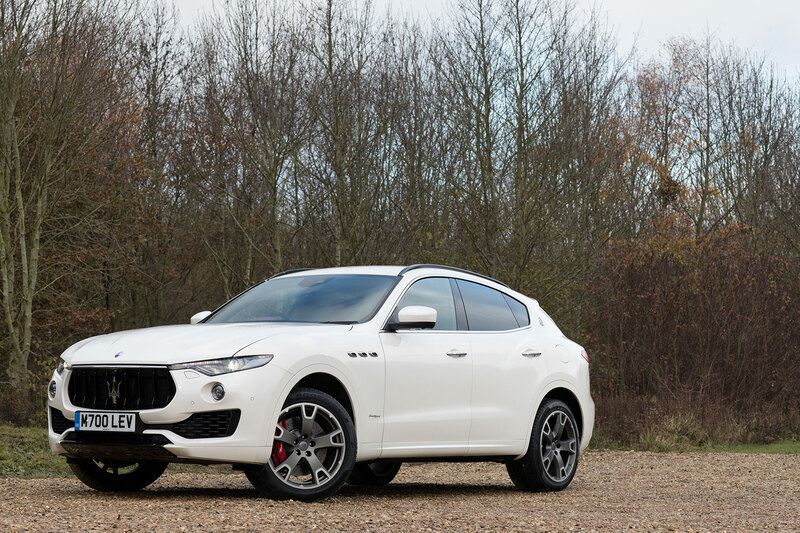 Combined with impressive approach and departure angles, the Levante is better over the rough stuff than it has any right (or, arguably, need) to be. 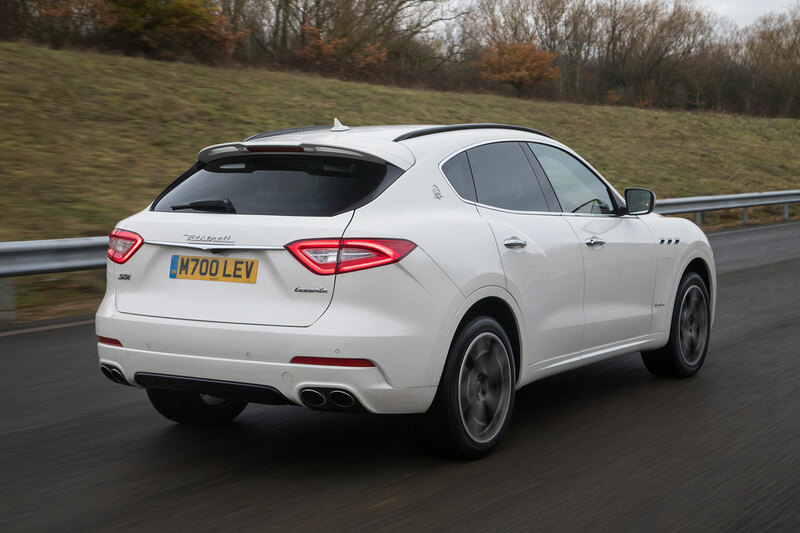 It’s an interesting choice of performance SUV, the Maserati Levante S. It does all the things you’d expect of a fast four-wheel-drive: it handles well, has hot hatch-baiting performance and sounds terrific. The exterior is bold and the interior feels upmarket, if not quite up there with the best in class (it can’t be accused of being ‘samey’, as least). Would we spend our own money on one? Probably not. 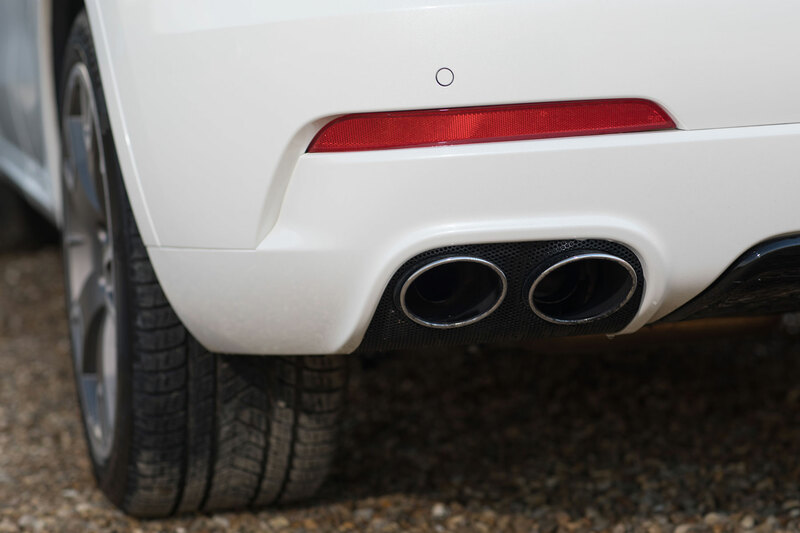 We’d rather spend the monthly PCP payment on the more polished Porsche Cayenne. But for exclusivity, something a little different, we fully understand why you would. 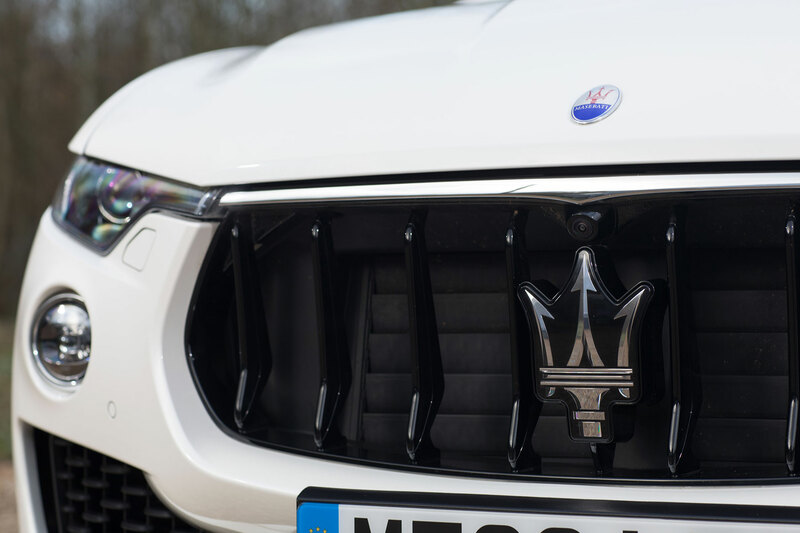 There’s also a part of us that hopes the Levante is the huge success Maserati hopes it will be – and at least, with the 2018 upgrades including that Ferrari engine, it’s got a much better chance of attracting buyers than when it first arrived a year ago.